There is something so magical about Prague. From the colors of Prague’s Baroque buildings to the “alien” tower to the spires that pierce the skyline, to the outdoor art dotting the streets, the beauty of this city is never-ending. Prague was one of only a handful of cities I returned to during my long-term travel, and I am glad I did. It was my free therapy, and I spent days with my camera, just wandering and taking in all the city had to offer. One of my favorite things I came across (other than the colorful buildings and the art), were the handmade crafts. Stores display their goods on the sidewalk, and this shop caught my eye immediately. 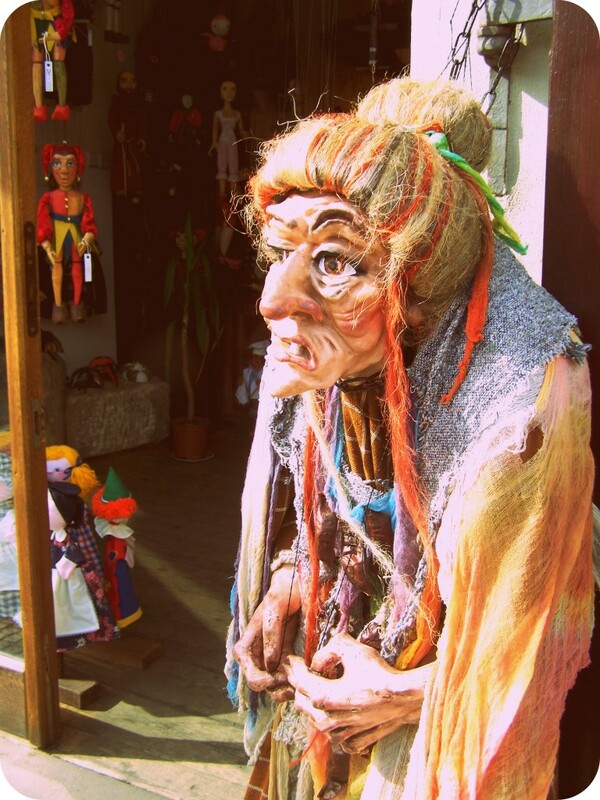 I loved the selection of puppets that took me back in time. And, of course, this woman standing guard of the shop.